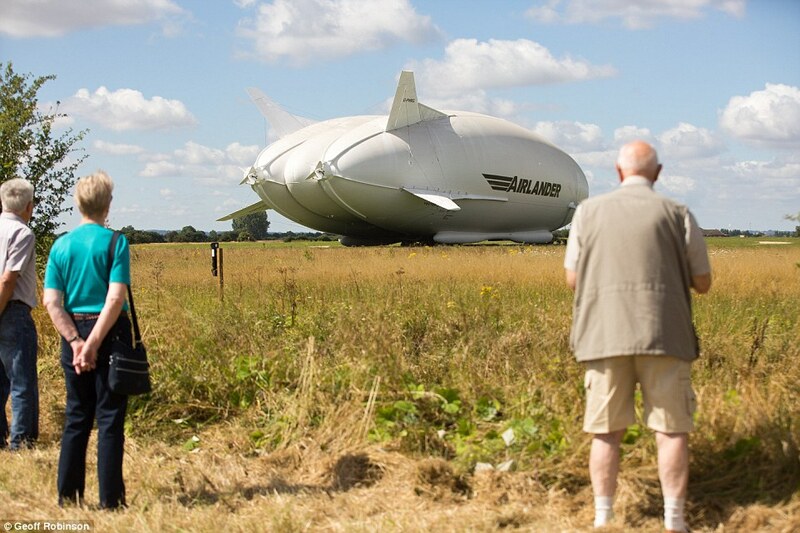 The world's largest aircraft, known fondly as the 'Flying Bum', left its hangar for the first time today. The Airlander 10, which cost £25million to build over 10 years, is 92 metres long and pumped with a million cubic feet of helium. 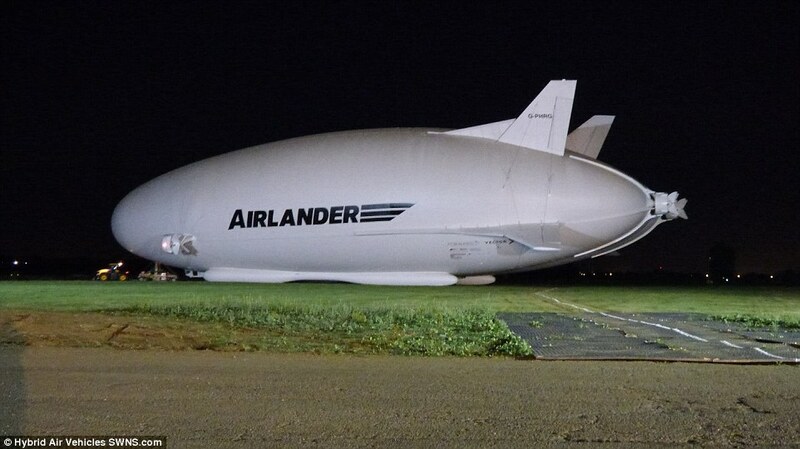 The part-plane, part-airship left its hangar in Cardington, Bedfordshire at 4am today to commence a brief series of ground systems tests before its first flight later this month.